Julie is the Founder and Executive Director of the Institute for the Future of Learning, a non-profit organization dedicated to helping transform the factory model of education. As a learning and development consultant at Harvard University, Julie managed the University’s career and professional development program, provided organization development consulting to University leaders and was the recipient of the ‘Harvard Hero’ award for outstanding contributions to the University. Her current projects include: working with school leadership and teacher teams to reimagine curriculum and pedagogy, researching the current state of the K-12 transformational landscape, and coaching school and district leaders. Julie graduated from Harvard’s Graduate School of Education with a Master’s degree in Technology, Innovation and Education. Julie is the author of the forthcoming book, The Human Side of Changing Education: How to Lead Change with Clarity, Conviction, and Courage due to be published in May 2018. Click here to view Julie's TEDx talk. David Weston is the founder and Chief Executive of the Teacher Development Trust, the UK national charity for effective professional development. He is the Chair of the UK Department for Education’s Teachers’ Professional Development Expert Group and has been heavily involved in the set-up of the new College of Teaching. David is a primary and secondary governor and taught maths and physics for nine years in two schools in London. David speaks and writes frequently for education sector and national media and has had a number of radio and TV appearances on the subject of teaching, teacher development and LGBT issues. David is the author of the forthcoming book, Unleashing Great Teaching: The Secrets to the Most Effective Teacher Development due to be released in May 2018. Click here to view David's TEDx talk. Pooja K. Agarwal, Ph.D. is an expert in the field of cognitive science. She has conducted rigorous research on learning in K-12 public schools for more than 15 years and she has a forthcoming book, Powerful Teaching: Unleash the Science of Learning. Pooja is the Founder of RetrievalPractice.org, a hub of resources and strategies for teachers based on the science of learning. In addition, Pooja is an Assistant Professor at the Berklee College of Music and an Adjunct Professor at Vanderbilt University. She received her Ph.D. from Washington University in St. Louis and she is a former K-12 teacher. Learn more at poojaagarwal.com and follow her @PoojaAgarwal. Dr. Jennifer Coffman started her career as a public-school elementary teacher, an experience that shaped her research program. At the heart of this work is a desire to understand student’s individual growth in memory and cognition coupled with a passion for understanding what educational and parental forces influence this change over time. She focuses primarily on basic developmental questions involving social forces in the home and school contexts that foster growth in children’s cognitive, social, and academic performance while simultaneously working toward interventions that can positively impact children’s developing skills. Dr. Coffman’s research has been published in outlets such as Developmental Psychology, Child Development, and The Journal of Cognition and Development. Her work has been funded by the Institute of Education Sciences, the National Science Foundation, the National Institutes of Health, and the John Templeton Foundation. Dr. Coffman earned a BA in psychology and education from the College of Wooster and a Ph.D. in developmental psychology from UNC-Chapel Hill. Pedro has been an educational scientist and teacher trainer at Arteveldehogeschool in Ghent, Belgium since 2001. One of Pedro's strengths is his ability to be funny while explaining serious stuff; therefore, he is often asked to serve as an international public speaker on education. He has co-written several books on youth and education in Dutch, and in 2015 Pedro co-wrote the popular book Urban Myths about Learning and Education with Paul Kirschner and Casper Hulshof. His most recent book is The Ingredients for Great Teaching, which explores ten crucial aspects of teaching, the research behind them and why they work like they do, combined with everyday classroom examples describing both good and bad practice. He is an avid blogger on new research in education; you can read his posts here: www.theeconomyofmeaning.com. You can also read his academic articles on Google Scholar. Author, The Space: A Guide for Educators, co-founder of ConnectED Learning, a Saint Louis non-profit dedicated to affordable, quality professional learning for teachers, educator and speaker. Dr. Robert Dillon is an author, speaker, educator, and lifelong learner. His twenty plus years in education has seen him serve kids and families as a teacher, principal, technology director, and innovation leader. His primary focus is working to bring synergy to instructional design, technology infusion, and learning space design. He believes that in this synergy is the educational gold that students need to be successful citizens in a modern world. He works through an equity lens and looks to bring excellence to every classroom. For this work, he has been honored by Common Sense Media, The Center for Green Schools, the dSchool at Stanford University, the Buck Institute for Education, and Future Ready Schools. Dr. Dillon has had the opportunity to work with teachers and leaders throughout the country, and he continues to speak at local, regional, and national conferences. Dr. Dillon is the co-founder of ConnectED Learning, a Saint Louis non-profit dedicated to affordable, quality professional learning for teachers. He is the author of four books including his latest, The Space: A Guide for Educators. He is supported in his work by his wife and two amazing daughters. Dr. Kelly Fisher is the Executive Director of the Science of Learning Institute at Johns Hopkins University. Kelly develops and oversees the strategic planning and operations of the Institute, with the goal of fostering innovative, interdisciplinary science of learning research and building meaningful connections between research, practice, and policy. Some of Kelly’s recent projects investigate how teaching practices (e.g., guided play, direct instruction) differentially impact children’s academic readiness (e.g., early geometric knowledge, executive functioning), how arts-enriched experiences promote cognitive and socio-emotional skills, and how teachers' data use efficacy influences how they individualize instruction in their classrooms. Click here for more information regarding Kelly’s research. Dr. Kristin Gagnier is the Assistant Director of Dissemination, Translation, and Education at the Science of Learning Institute and an Assistant Research Scientist in the Department of Cognitive Science at Johns Hopkins University. Kristin oversees the institute’s mission of connecting science to practice. She partners with schools, museums, government organizations and policymakers to advance research and translate science of learning research into evidence-informed practices. As a postdoctoral research fellow at the Spatial Intelligence Learning Center, she developed an interdisciplinary research program aimed at understanding the cognitive challenges faced by students in Science, Technology, Engineering and Math (STEM) learning and developing research-informed interventions to support learning. Click here for more information on Kristin's research. Dr. Chris Hulleman conducts research on educational interventions grounded in theories of social and personality psychology, motivation, and human development. Recently, his work has focused on examining the extent to which helping students find relevance in their coursework for their lives increases learning and interest. He partners with practitioners and other researchers to develop interventions that boost motivation, learning, and achievement in school and sports. Examples of this include a national researcher-practitioner network, a national network of researchers focused on learning mindsets, and a national researcher-practitioner network focused on the transition to college. For more information on his motivation research, see the Motivate Lab website. He also conducts research on methods of evaluating the extent to which educational interventions were implemented as designed (i.e., intervention fidelity). His research on fidelity includes preschool science classrooms (e.g., ECHOS, RISE), the contribution of the Responsive Classroom Approach to children’s social and academic growth, and interventions designed to increase value for students in STEM and other subject areas. Dr. Ian Kelleher is the coauthor of Neuroteach: Brain Science and the Future of Education and Head of Research for the Center for Transformative Teaching and Learning. He grew up in Cambridge, England and went to the University of Manchester as an undergraduate where he received a Bachelor of Science degree in geochemistry. He returned to Cambridge as a Ph.D. student at the University of Cambridge, Churchill College, working in the Department of Earth Science. Ian teaches chemistry, physics and robotics, as well as coaches boy’s JV soccer. Ian also co-facilitates the CTTL”s “Creating Innovators through Design Thinking” workshop and is responsible for the CTTL’s Teacher and Student Research Fellowship Program. Christine has been a classroom teacher for more than two decades, dedicating the last 12 years to early elementary at St. Andrew's Episcopal School where she has taught kindergarten, first grade, second grade, third grade, and fourth grade classes. Originally educated in New Zealand, she holds a bachelor’s degree in chemistry, training as a high school science teacher. After relocating to the U.S. in 2003, Christine changed her focus, completing a Master’s in the science of instruction for elementary grades at Drexel University. Over the past five years, she facilitated elementary new teacher training for both TNTP and TFA in Washington, D.C. and presents nationally for the Center for Responsive Schools. As a classroom teacher, she carries a special brand of practical wisdom gathered from many years of intentional research-to-practice implementation under the guidance of the CTTL and their academic partnerships with a specific emphasis on early childhood development. 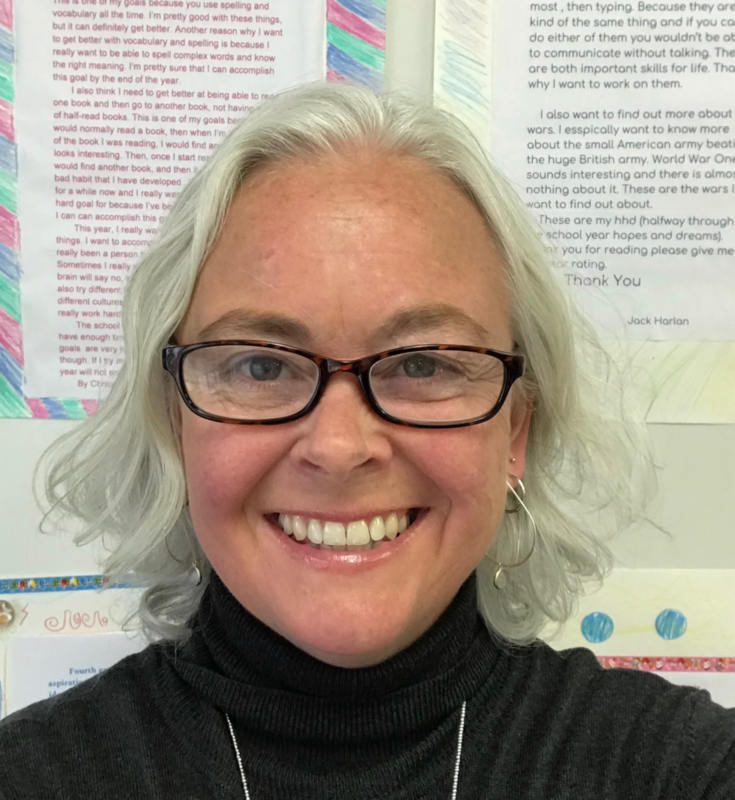 She is a contributing writer for the CTTL publication, Think Differently, and Deeply, authoring three articles: The Connected and Valued Child: Targeting the Social and Emotional Brain, Lessons Learned in Cambridge: Two Research Fellows Reflect, and Polishing the Mirror in Third Grade: Exploring Reflection as a Memory Tool. Dr. Beth Morling is Professor of Psychological and Brain Sciences at the University of Delaware. She attended Carleton College in Northfield, Minnesota, and received her Ph.D. from the University of Massachusetts at Amherst. Before coming to Delaware, she held positions at Union College (New York) and Muhlenberg College (Pennsylvania). She’s the author of a popular undergraduate Research Methods textbook and maintains a blog (everydayresearchmethods.com) that helps students and instructors find contemporary examples of psychological science in the news. She teaches research methods at Delaware almost every semester. In addition, she also teaches undergraduate cultural psychology, a seminar on the self-concept, and a graduate course in the teaching of psychology. Her research in the area of cultural psychology explores how cultural practices shape people’s motivations. Dr. Morling has been a Fulbright scholar in Kyoto, Japan, and was the Delaware State Professor of the Year (2014), an award from the Council for Advancement and Support of Education (CASE) and the Carnegie Foundation for the Advancement of Teaching. Glenn Whitman is the coauthor of Neuroteach: Brain Science and the Future of Education and directs the Center for Transformative Teaching and Learning (@thecttl) at St. Andrew's Episcopal School. Glenn is a former Martin Institute for Teaching Excellence Fellow and author of Dialogue with the Past: Engaging Students and Meeting Standards through Oral History as well as co-editor of Think Differently and Deeply, the national publication of the CTTL. Glenn is also a blogger for Edutopia. Glenn earned his MALS from Dartmouth College and a BA from Dickinson College. Follow Glenn @gwhitmancttl or email him at gwhitman@saes.org. Dylan Wiliam, Emeritus Professor of Educational Assessment at University College London and Author of Creating the Schools Our Children Need: Why What We're Doing Now Won't Help Much (And What We Can Do Instead). After a first degree in mathematics and physics, and one year teaching in a private school, he taught in inner-city schools in London for seven years. In 1984 he joined Chelsea College, University of London, which later merged with King's College London. From 1996 to 2001 he was the Dean of the School of Education at King’s, and from 2001 to 2003, Assistant Principal of the College. In 2003 he moved to the USA, as Senior Research Director at the Educational Testing Service in Princeton, NJ. From 2006 to 2010 he was Deputy Director of the Institute of Education, University of London. Over the last 15 years, his academic work has focused on the use of assessment to support learning (sometimes called formative assessment). He now works with groups of teachers all over the world on developing formative assessment practices.